Every party needs a cocktail. 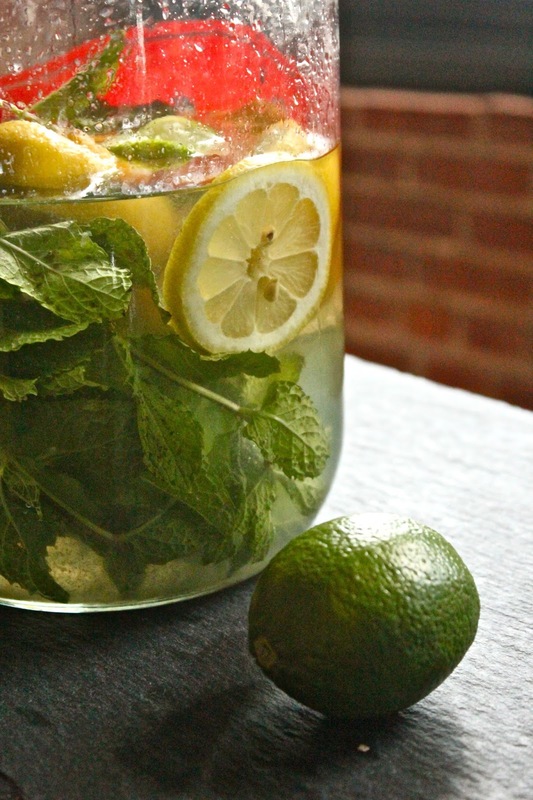 Even better when it is potent, easy and refreshing for a hot night. Enter the Gin Bucket. I made this for a recent party and it went down easy (maybe too easy for some) on a 95 degree night. 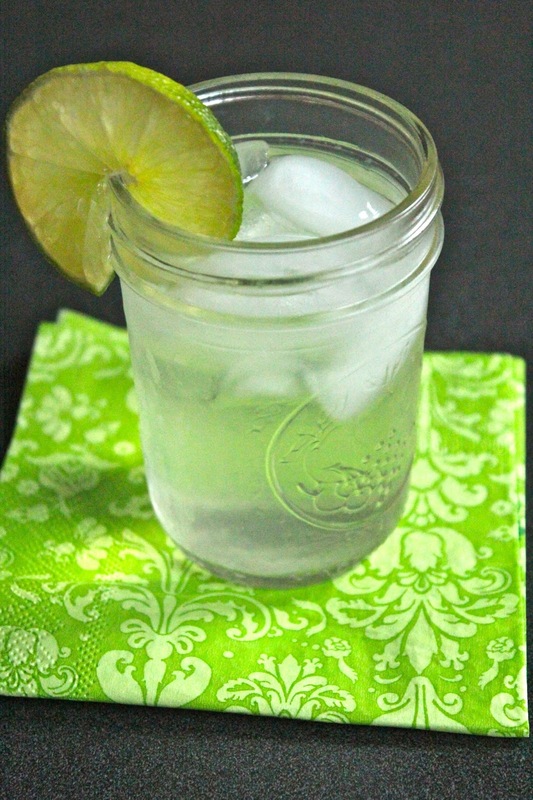 Citrus and sparkling water keep things bright. As you may have gathered from some of my other cocktail recipes, I'm a big fan of gin. For the longest time I thought I didn't like it because I don't particularly enjoy Gin and Tonics. Turns out, I actually just don't like tonic. Yay for liquor! With a herbacious bite, gin pairs beautifully with a number of mixers (lime juice, grapefruit juice, Snoop, etc.). For a martini or classic cocktail, you really need to class it up with your gin brand (I like Hendrick's or Bombay Sapphire), but since this was to be mixed with lots of citrus goodies and enjoyed by masses, no-name gin is just fine. As a particularly classy lady, I purchased gin in plastic. For serious. 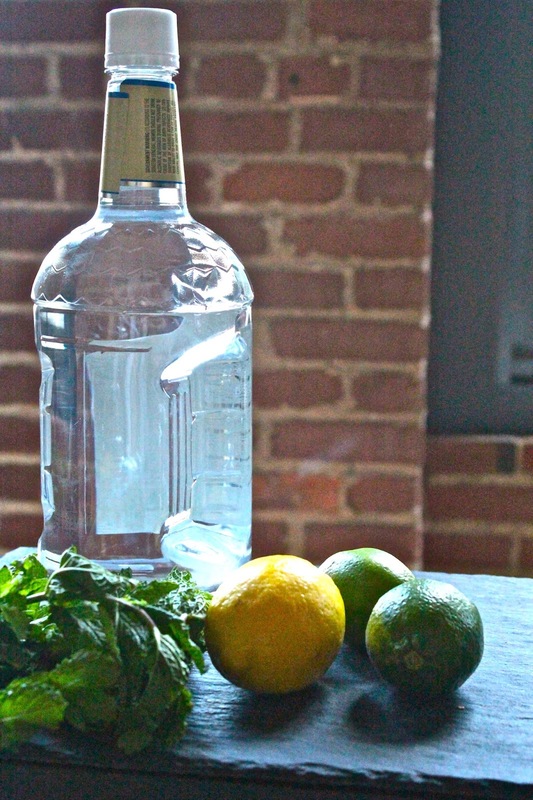 You'll use citrus and mint to "marinate" the gin overnight, giving it incredible fresh flavor. Honestly, any subtle undertones in a top-shelf gin would be lost in this process, so bottom-shelf is just fine. Once chock full of flavor, just add a bit of simple syrup for sweetness and sparkling water to cut the bite. With this baby over ice, you won't even feel the last fleeting bouts of humidity. Enjoy the heat while it lasts. Juice two limes and two lemons into a large pitcher; throw in remaining halves and slice remaining whole lime and lemon for the container too. Add the bunch of mint and pour in the gin. Cover and allow to sit overnight. Combine water and sugar in a small saucepan over low heat. Stir periodically until sugar dissolves, but do not boil. This is simple syrup. Remove from heat and allow to cool. Remove mint and lemon and lime halves, leaving the slices in the container. Stir-in simple syrup. Serve over ice, pour about a shot of gin into each glass. 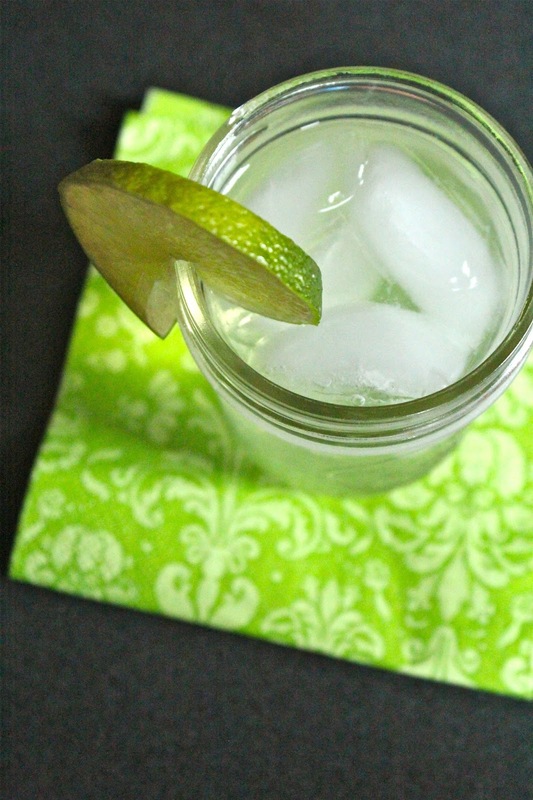 Top with a healthy pour of sparkling water (these are strong) and garnish with a lime slice. Enjoy!